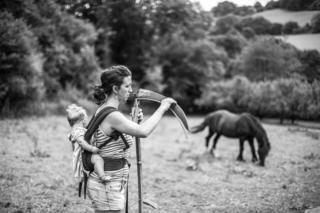 Photographer Matilda Temperley spent a year documenting Somerset, portraying community and farming life with her striking black and white images. 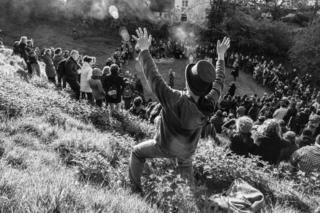 Image caption Crowds gather to welcome in the first day of summer at Chalice Well Gardens in Glastonbury. In 2017, the Rural Life Museum in Glastonbury asked Temperley if she would spend one day a month for a year photographing Somerset, focusing on what she found interesting. The photographer chose to centre the project on the area in which she grew up; Burrow Hill, a grassy knoll formed on a rocky sandstone deposit on the edge of the Somerset Levels. Temperley said of her work: "While there are portraits of the industries synonymous with the Levels, such as elverers, peat-diggers, cheddar cheese makers, cider farmers and withy growers, I have also tried to showcase the newer and sometimes rather more alternative industries and communities." Here is a selection of photos from the project. Image caption Sophia Campbell prepares her scythe for topping weeds in the pasture at Tinker's Bubble, a small woodland community featuring self-built houses and electricity generated by solar and wind power. 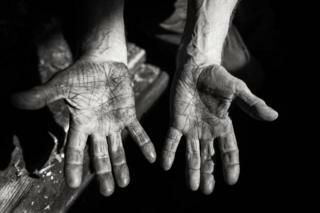 Image caption Tannin stains from traditional bittersweet cider apples are seen on cider-maker Roger Wilkin's hands during the pressing season. Cider was once a rural currency in Somerset, paying wages, tithes, rents and taxes. 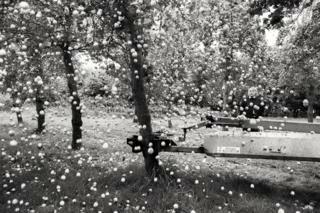 Image caption A machine shakes apples from a tree in Burrow Hill. Image caption Lara Stower is seen swimming in the River Isle on the morning of her wedding. 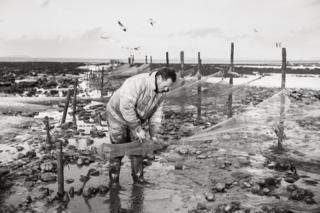 Image caption Adrian Sellick, the UK's last mud-horse fisherman, ties nets in Bridgwater Bay. He uses a wooden sled to move across mud flats without sinking, to reach his funnelled nets, where he harvests the caught fish. 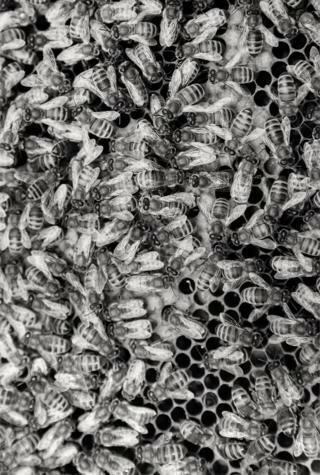 Image caption Bees from the hive of beekeeper Lynne Ingram at West Croft Cider Farm in Brent Knoll. 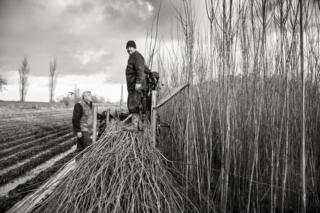 Image caption Willow from the Somerset Levels is used for baskets, hurdle fence panels, lobster pots, hampers, hot air balloon baskets, coffins and bearskin hats, among other things. Malcolm Musgrove and John Dyer are seen harvesting withies for Coates English Willow. Image caption A fire is lit during the Beltane celebration, one of four seasonal Pagan festivals, at Chalice Well Gardens in Glastonbury. People are invited to jump over the fire to signify new beginnings. 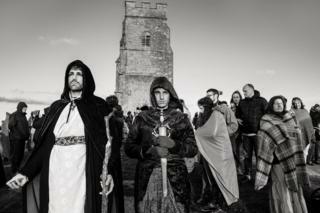 Image caption Residents and visitors watch a sunrise on Glastonbury Tor. Image caption Dan Franklin prepares his wood saw to cut a 127-year-old oak. 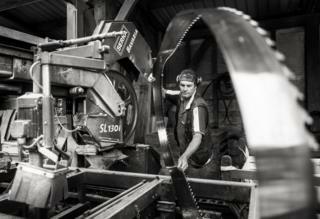 The oak will become the first Somerset oak barrel to age Somerset cider brandy. 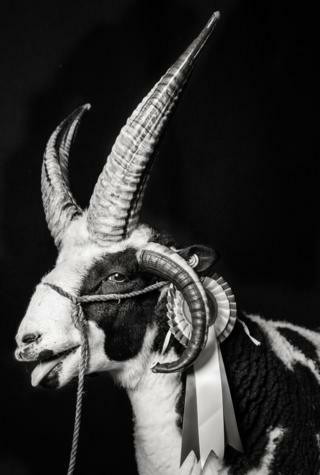 Image caption Rocky the Jacob Ram is seen at the Bath and West agricultural show, which was established in 1852. 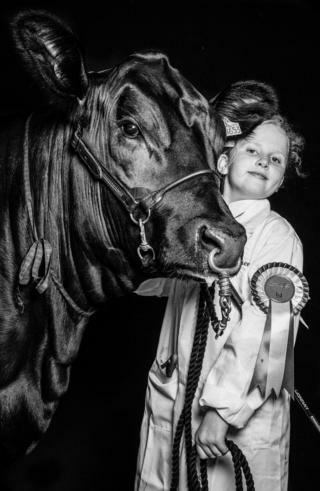 Image caption Temple Rosebud and Grace pose together after winning first prize in the 'Beef Young Handlers' competition at the Bath and West agricultural show. Image caption A three-metre deep seam of peat runs beneath the surface of the Northern Somerset Levels. 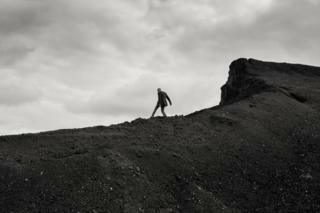 Chris Durston is seen standing on Durston's peat mountain, part of 200 acres of the peat moor owned by the Durston family. Peat digging is one of Somerset's oldest industries. Image caption Cheesemaker Tom Calver in his Cheddar cheese cellar at Westcombe Dairy, a small artisan dairy making around 100 tons of traditional Cheddar and other West Country cheeses each year. Image caption Adam O'Connor-McMahon is seen at the tightrope walkers convention in Evercreech, called 'No strings on a shoestring'. 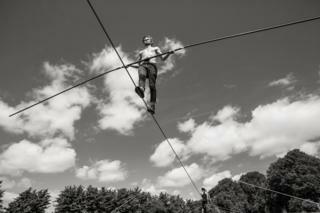 The event attracts tightrope walkers from around the world. 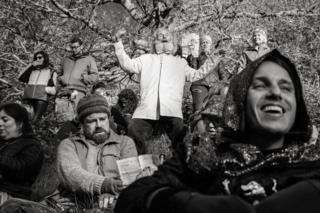 An exhibition of Matilda Temperley's project A View from the Hill is open at Somerset Rural Life Museum until 1st June.